We installed this roof in Lancaster, Pennsylvania just this past week and as you can see from these before and after pictures, Pinnacle Exteriors installed high quality architectural shingles, backed by a home lifetime warranty, that also look amazing. If your experiencing a leaky roof, have algae buildup, or are just ready for a new roof, let Pinnacle Exteriors provide you the last roof you will need by starting with a free assessment of your project. Call 1-877-954-6473 and we'll get you scheduled for a free estimate. Ian got a new roof installed at his Lancaster home by Pinnacle Exteriors, and as you can see from the before and after pictures Pinnacle Exteriors improved the curb appeal of this home by installing architectural shingles that won't streak, as you see were part of the problem in the before pictures. Check out the difference Pinnacle Exteriors made at this Reading, Pennsylvania home, when they replaced the old 3 tab shingles with some new architectural ones. Pinnacle Exteriors always delivers high quality products and services, and we love to show the progress we make. Check out the before and after photos from this job in Pottsville, Pennsylvania, and make sure to give Pinnacle Exteriors a call at 1-877-954-6473 if you are in need of roofing, siding, windows, doors, or a solar system, and schedule your free assessment today. Heading around to the back yard of this Pottsville home, you can see the difference from the old 3 tab style shingles to the new architectural shingles in these before and after photos. 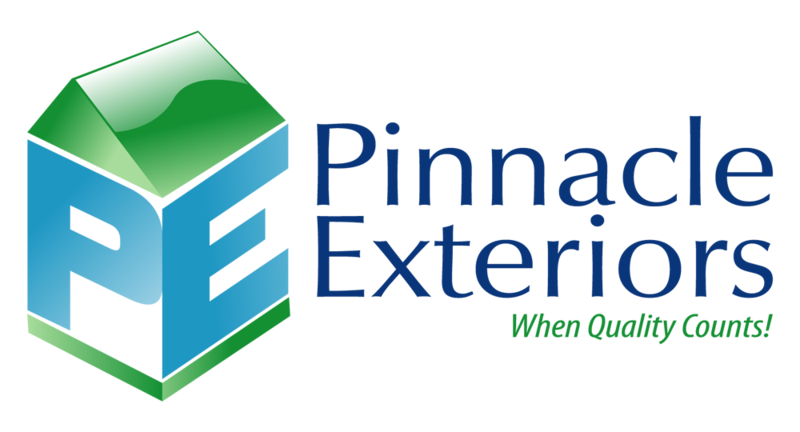 If you want your roof installed to the highest quality standard, make sure to give Pinnacle Exteriors a call at 1-877-954-6473, and we will get you on the schedule for a free assessment of your next exterior project.